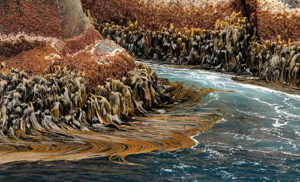 Frequently exposed to large and energetic swell, a population of Durvillaea antarctica dominates the intertidal zone of the Snares Islands, a small sub-Antarctic island group about 200 km south of New Zealand. Also seen is a resilient band of mixed red and encrusting coralline algae. The magnetism of marine phycology pulled Tiffany Stephens into a realm characterized by a diversity of colour, morphology, function, and wonder. As a B.Sc. student at the University of Washington, her interest in marine algae was sparked when studying at Friday Harbor Laboratories. 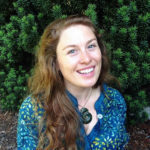 After graduating, she continued to pursue algal-related research via various technician positions in Washington, Alaska, Georgia, Florida, and Fiji before moving to New Zealand for her PhD research, where she investigated the nitrogen ecophysiology of Macrocystis pyrifera at the University of Otago. Currently, Tiffany continues to study the ecophysiological responses of macroalgae to environmental stressors as a postdoctoral fellow at the University of British Columbia. Summer phytoplankton dominated by desmids (Comarium and Staurastrum). Sample was taken during a long-term monitoring program from the eutrophic Rimov Reservoir (Czech Republic) and concentrated with 20 µm plankton net. Nomarski contrast, Olympus BX51 microscope, Olympus DP70 camera. 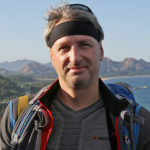 Petr Znachor received his Ph.D. from the University of South Bohemia (Czech Republic) in 2003. He is a research associate at the Institute of Hyd robiology. His research has been primarily focused on various aspects of phytoplankton ecology and later he expanded his scope to reservoir limnology and analyses long-term time series. 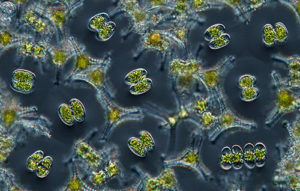 Ever since he first looked through a microscope he was astonished by the myriad beautiful shapes and colours of phytoplankton existing in a single drop of water. He hopes that his pictures raise awareness of the importance of these tiny organisms. Description: The cnidarian-algal symbiosis is responsible for the exceptional beauty and diversity of coral reefs, but this relationship is threatened by climate change. These aggregating anemones (Anthopleura elegantissima) found near Cape Sebastian, Oregon are all the same species, but host different levels of algae within their tissues. 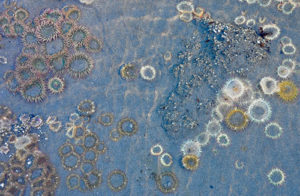 White anemones have few or no symbionts, while other colors may reflect different amounts, or different species (for this species, either dinoflagellates and green algae). The diversity captured in this photograph suggests that this species may have the potential to evolve in response to climate change. Vaucheria is a yellow-green alga that can be common in freshwater habitats. Plants are sometimes infected by a rotifer that lays its eggs within the Vaucheria siphon. After hatching, the rotifers remain within the Vaucheria, feeding on the ready supply of cytoplasm. The plant responds by forming galls. 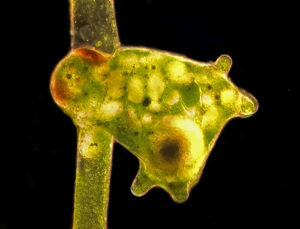 In the photograph the rotifers can be seen within the gall as white, oval shaped structures. The photograph was taken on a Nikon 80i microscope, using darkfield illumination. Several images were taken at different focal planes and then stacked in Adobe Photoshop CS5. For scale, the siphon diameter is approximately 50 µm. Photo of Algae growing at the Frutarom site in Gilat, Israel. 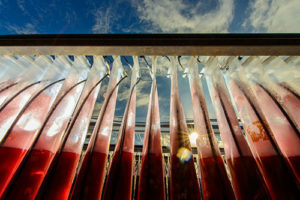 The Algae growth technology is based on Ben-Gurion University of the Negev’s Prof. Shoshana Arad’s science and research. Photo was taken with a Nikon D800 and a 14-24mm lens. 2 external flashes were placed on the ground behind the first row of algae to open up the shadows in the lower part of the image. 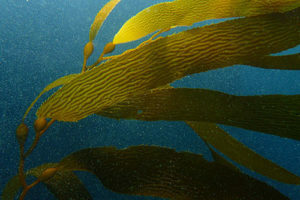 Sunlight shines through the blades of Macrocystis pyrifira forming a golden canopy and creating an ambiance of peace and wonder underneath at The Breakwater in Monterey Bay, California. This picture was taken on Christmas day and particles of marine snow float around the seaweed giving the two divers in the water a “white Christmas” in the sea. This photograph was taken while SCUBA diving using an Olympus TG-3 digital camera.